103,000 SF interior and exterior renovation which created a new entry facing the campus and improved circulation throughout the building. Interior spaces were reconfigured to integrate new collaborative learning environments, conference rooms, video-conferencing facilities and break-out areas. 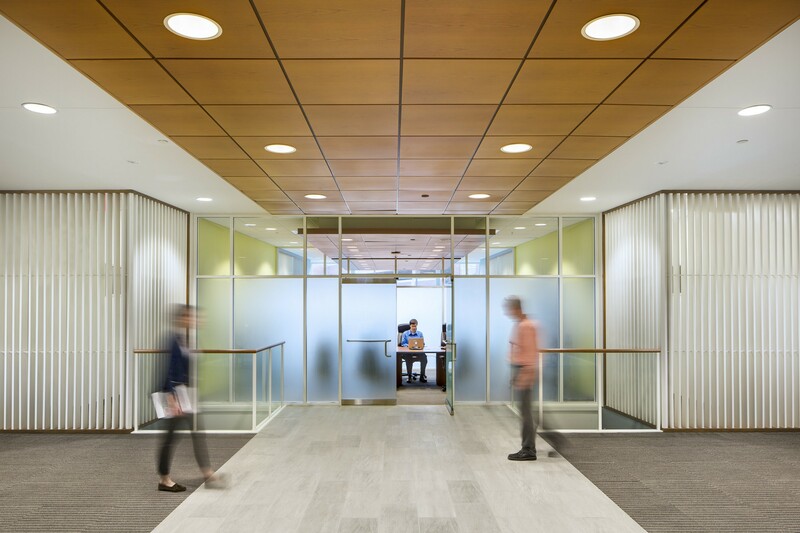 UMUC hired Design Collective to renovate the Student and Faculty Services Center on its main campus in Adelphi, Maryland. 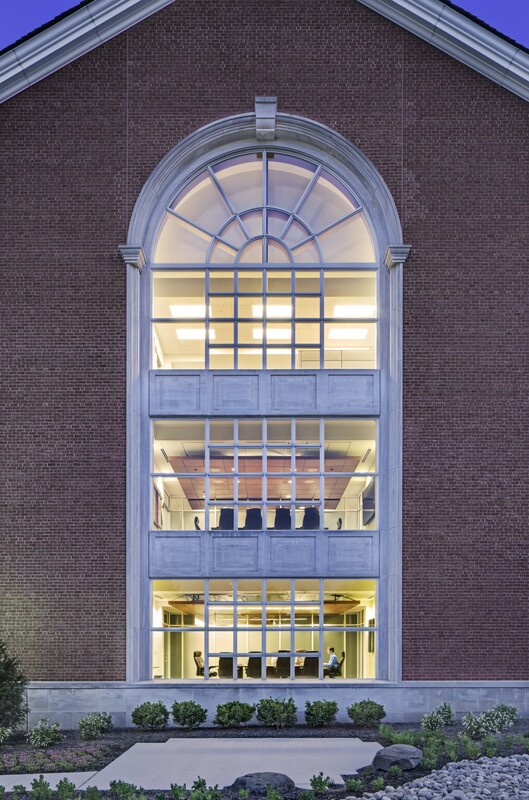 The project involved a comprehensive exterior and interior renovation of the existing 103,000 square foot building to renew and reposition the building to maximize space utilization through an efficient layout with enhanced learning environments, centralized support areas and improved circulation within the building and through the campus. 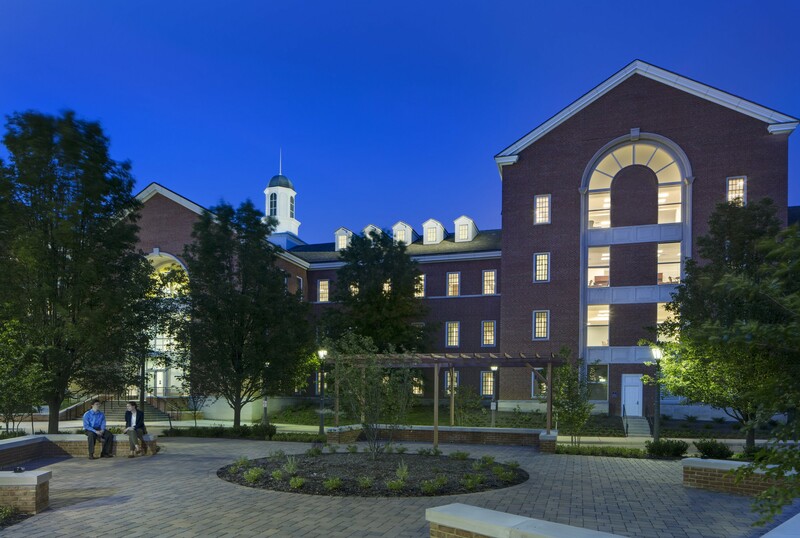 By demolishing the existing pedestrian bridge that connected to an adjacent parking garage, the design team was able to transform and reorient the back of the building to accommodate a new double-height entrance and lobby that effectively invites students and connects the UMUC campus. 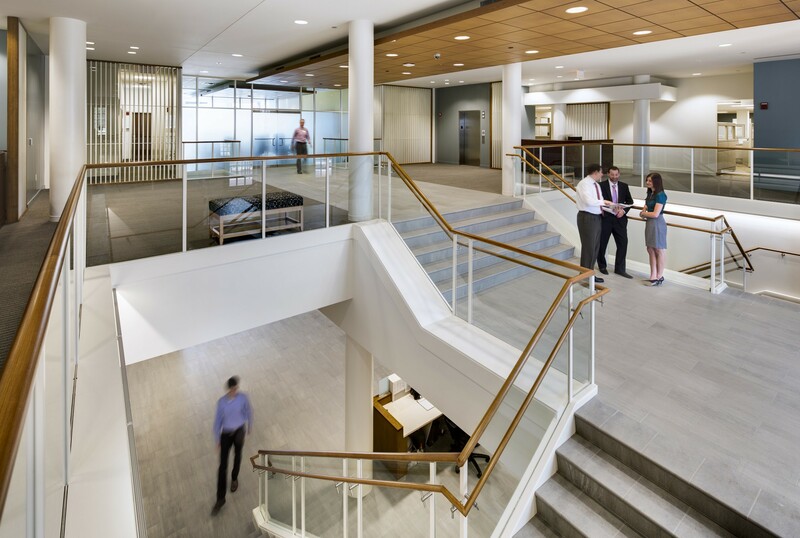 Interior spaces were reconfigured and reorganized to remove underutilized spaces and over-sized corridors to integrate new collaborative learning environments, conference rooms, video-conferencing facilities and break-out areas. 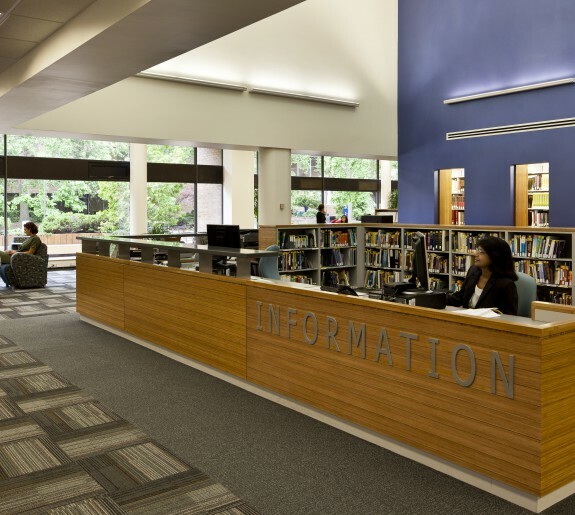 Public spaces are also organized around two existing circulation cores placing support areas in centralized areas that anchor the office suites and learning environments. Circulation corridors were resized and relocated along the building façade to maximize natural light and provide views to the campus beyond. 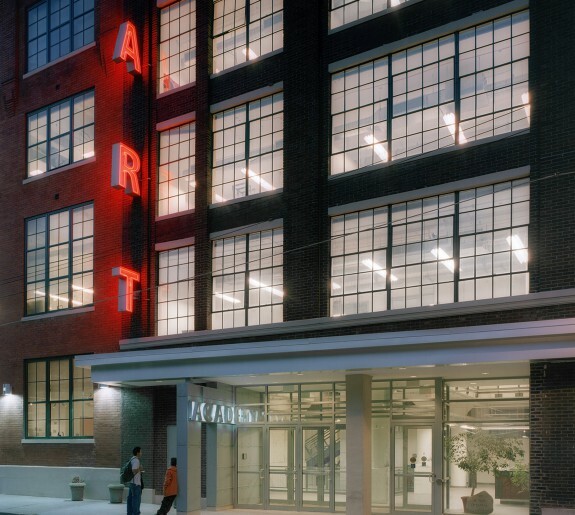 Design Collective has provided comprehensive planning, architecture, landscape architecture and interior design services for this $9 million renovation, utilizing a CM at Risk delivery method with multiple bid packages for construction. 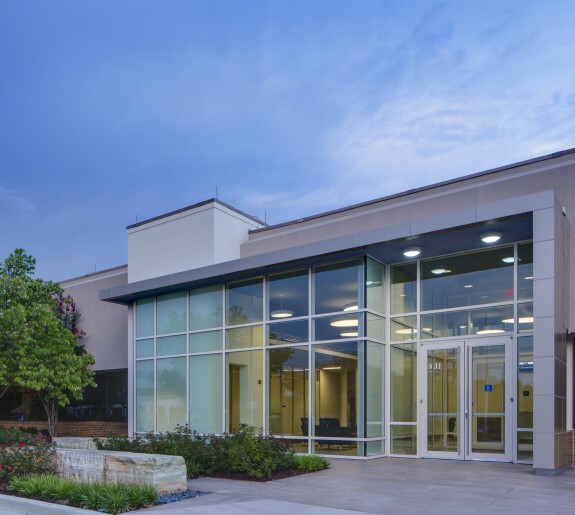 The final project achieved LEED Gold Certification through comprehensive systems replacements and upgrades to high-performance building systems and the specification of sustainable applications and materials.